While it may not have been in as decisive a fashion as they or their coaches would have hoped, the Bulldog volleyball team extended its winning streak to seven games Tuesday with a 3-0 victory over Class 5A Carlsbad, capping a sweep in this year’s volleyball version of the Eddy County War. The girls in orange got off to a solid start in the match, taking the first bout with little trouble, 25-16. The intensity level dropped a bit from there, however, leaving the door open for a Cavegirl challenge. Artesia was ultimately able to overcome Carlsbad’s rallies and close out the contest with a 25-22 win in Game Two, 25-19 in Game Three. 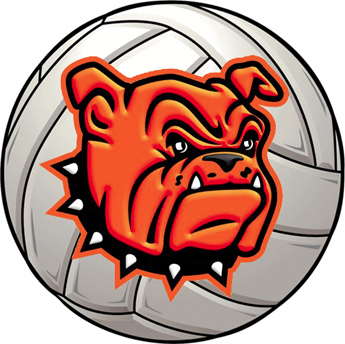 Dezaray Boyce once again led the Bulldogs in kills with 10 on the evening, Sadie Ramirez posted 18 digs, Paityn Houghtaling had five solo blocks, and Kyrah Gonzales and Boyce posted a trio of aces apiece. With the victory, the ‘Dogs improve to 9-1 on the season as they prepare to enter their most challenging tournament of the year this weekend: the Rio Rancho VolleyBash. Artesia will open pool play Friday morning grouped with Rio Rancho, Roswell High, St. Pius, Farmington and Albuquerque Academy. The second pool includes Cleveland, Espanola Valley, Hope Christian, Goddard, Piedra Vista and Hobbs. Bracket play will begin Saturday morning. Dependent upon teams’ performances in their pools, they’ll compete in either the Gold or Silver bracket. “There are a lot of good teams at this tournament,” said Williams, “especially from our class. I think every team that’s ranked in the top five or six in our class is going to be there, so we’re going to find out a lot about each other this weekend and get to know what some of these northern schools are like.